Allows form-tie points to be prepared quickly and reliably by just one person. This ergonomically comfortable option for manipulating the ties from just one side of the formwork saves time, and thus shortens the forming-times. Single-side-operable Monotec form-tying system for retrofitting to Framed formwork Framax Xlife. Only two different types of conical Monotec ties are needed for economically forming wall thicknesses of between 15 cm and 35 cm. 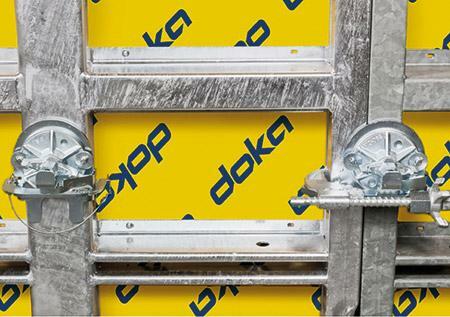 Doka’s automatic climbing formwork SKE 50 Plus, guided climbing formwork Xclimb 60 and Framax Xlife framed wall panel system are all being used to construct the mixed-use buildings. Thank you for your interest - Monotec tying system. Thank you very much for your interest - Monotec tying system.